The Hottest Stars, Major Red Carpet Events & One on One Exclusives. 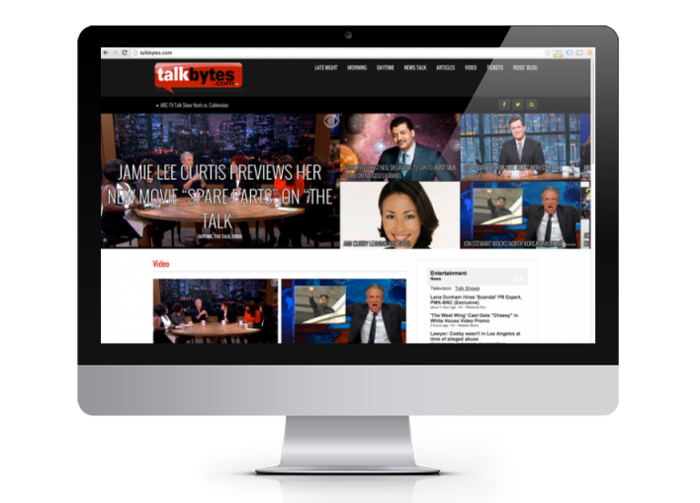 TalkBytes.com is a destination for viewers and listeners to catch up on the best parts of their favorite talk shows – featuring the latest video clips, news and ticket info for all your favorite talk shows! Find out what’s on tv and catch up on the latest news, sneak peaks, premieres and video clips of your favorite tv shows. CrystalVision Media was founded in 2003 by Ross Crystal, an Emmy nominee and multiple Golden Mike winner, who hosted the Fox Television talk program ‘Panorama’ in Washington DC. Crystal is heard daily across the country through his syndicated broadcast ‘Showbiz Express’ and in Los Angeles on KNX 1070 Newsradio.